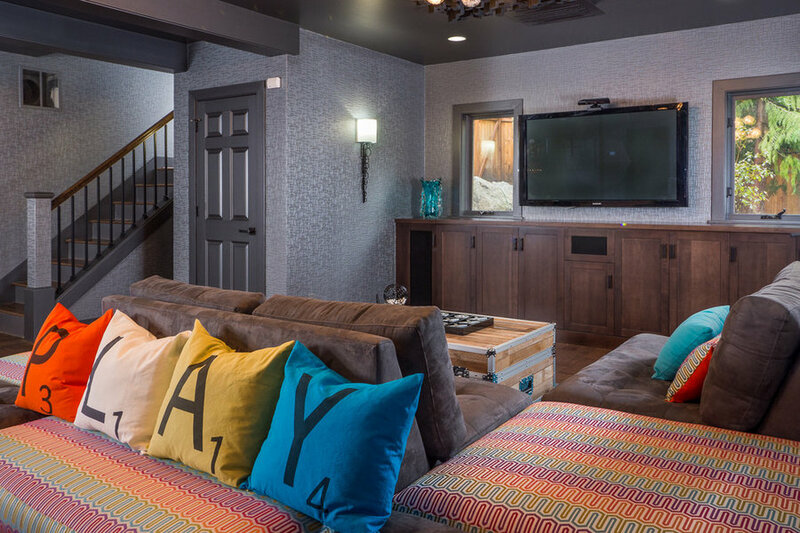 An all-beige walkout basement was transformed into a unique, flexible space that both adults and children can enjoy. 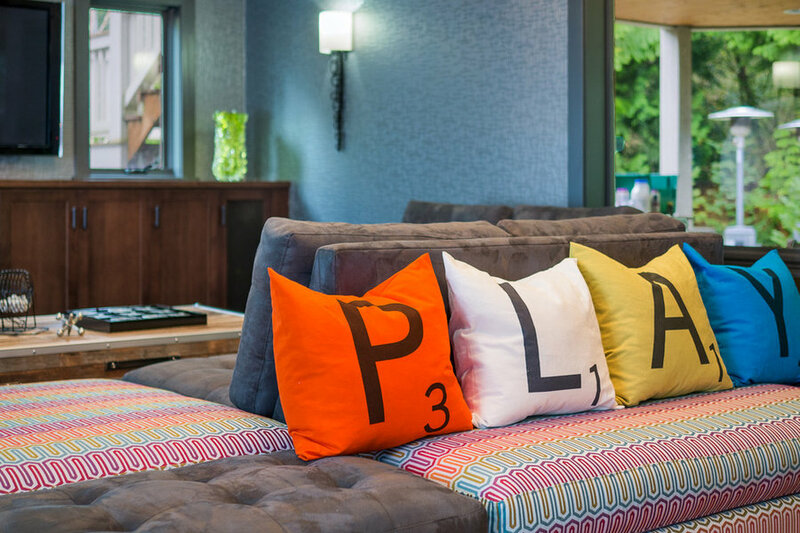 While the homeowners requested pops of color, they also wanted a sophisticated feel that would resonate with both the “big kids” as well as the children. 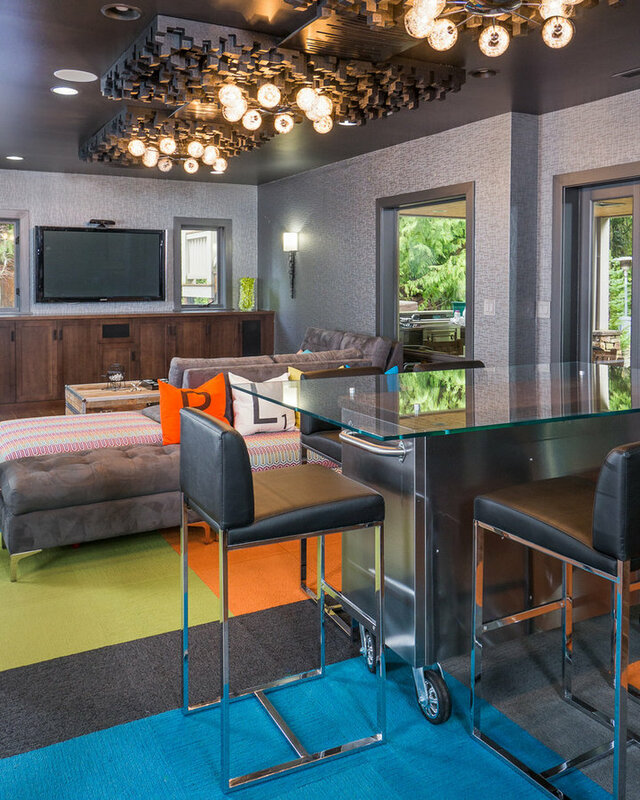 Although looks were very high on the priority list, it needed to be functional and flexible as well. 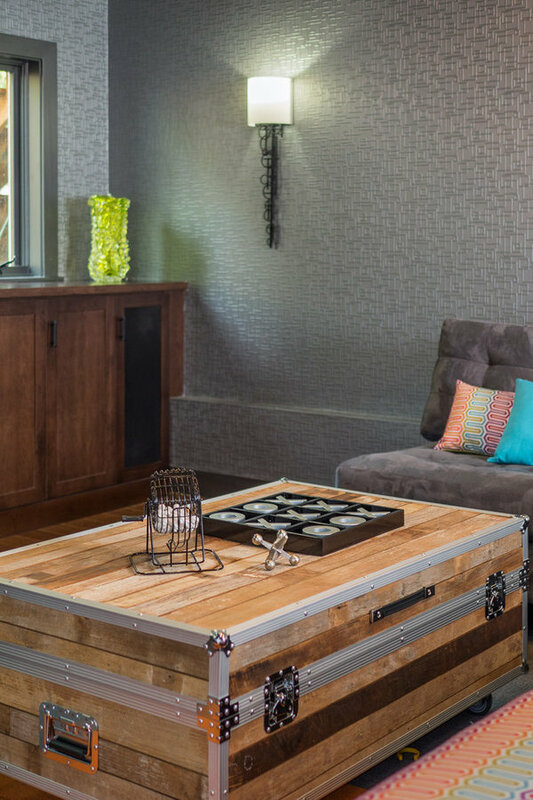 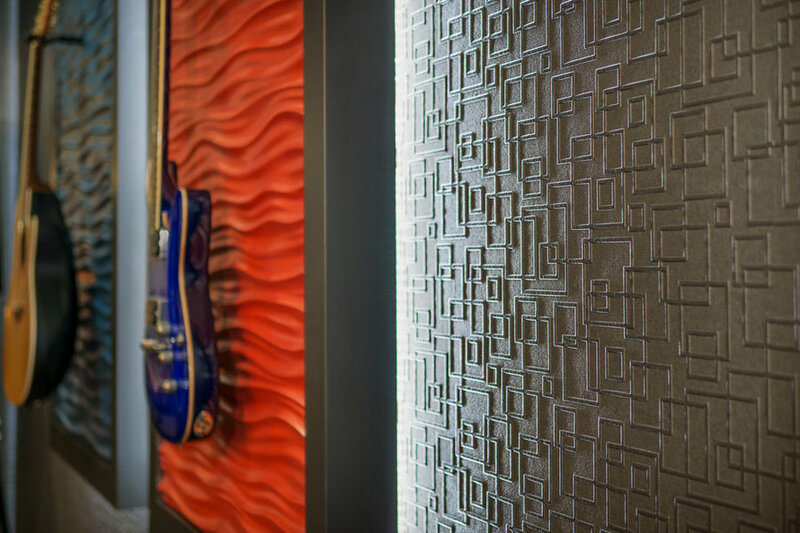 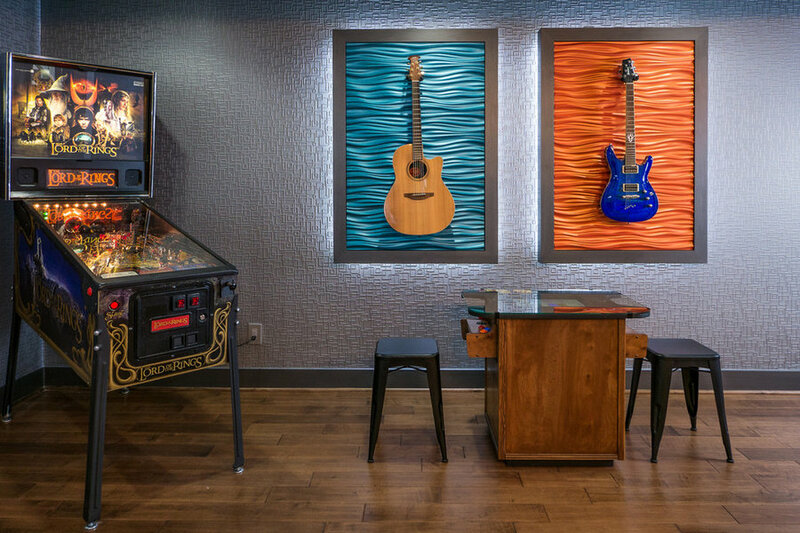 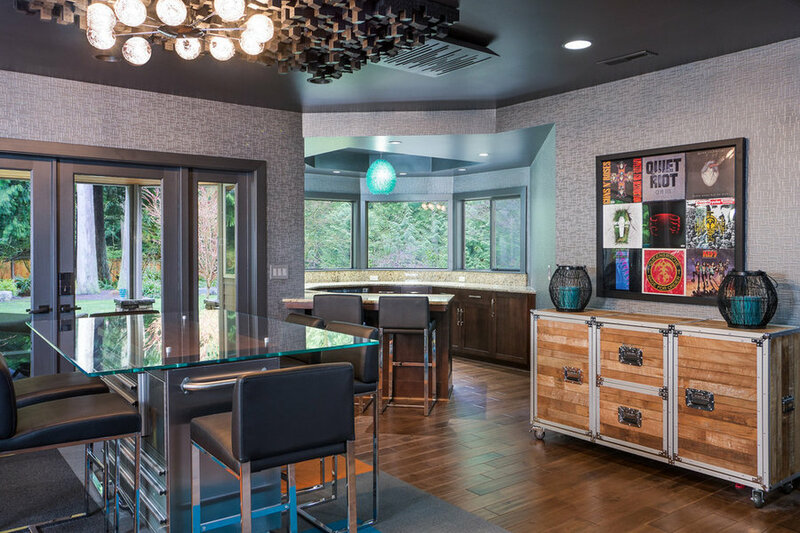 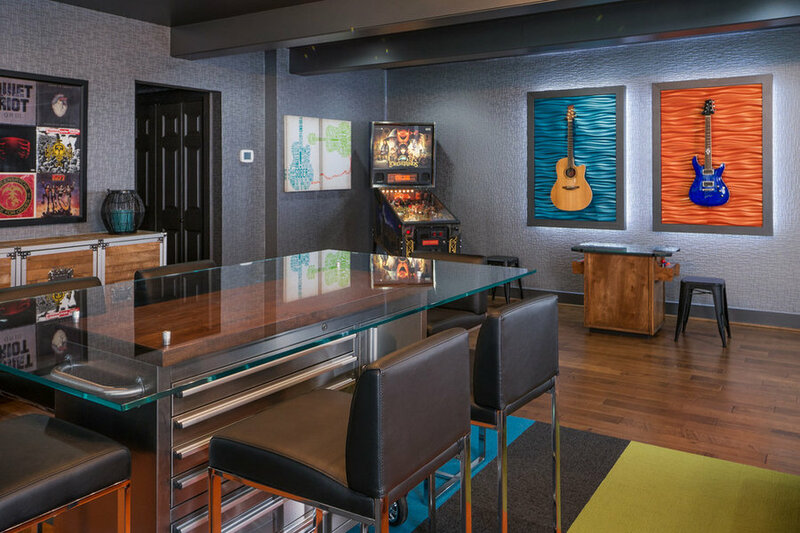 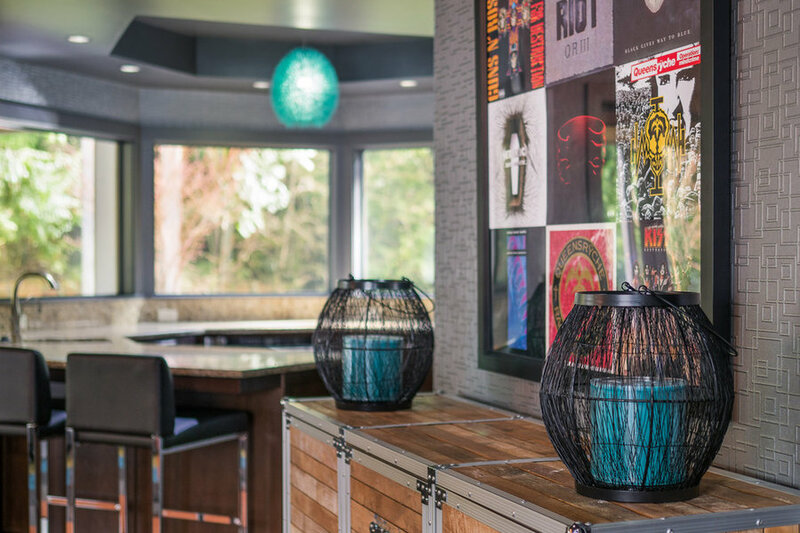 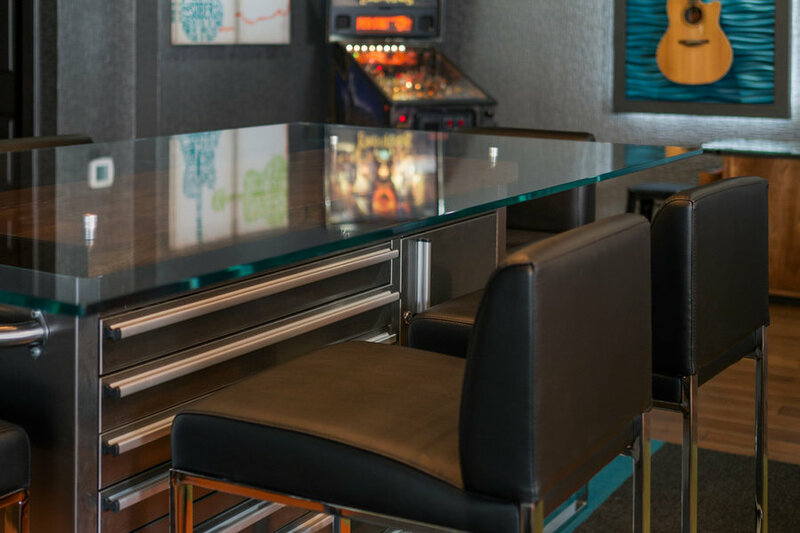 Whether playing board games, video games, having a full house of kids running around – or the adults pulling out the guitars and making some noise – they wanted a multi-purpose space that screamed fun, in a refined, yet trendy fashion.